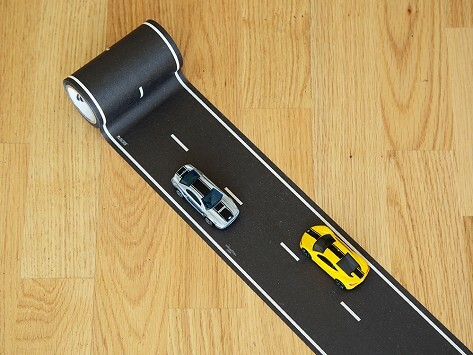 Printed to look like a road, PlayTape Classic Road is a roll of removable tape that is perfect for playing with toy and model cars. 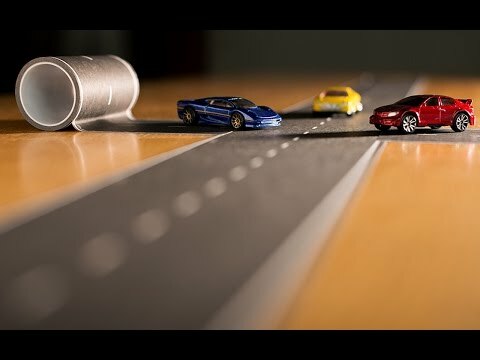 PlayTape is a fast, fun way to lay down instant roads anywhere for creative play. Dimensions: 60 foot roll: 60' x 2" ; 30 foot roll: 30' x 4"
My four year old grandson loved this so much I had to get the railroad tape also. This stuff is a hit! My daughter takes this with her to wrestling meets and throws a length on the bleacher seat and kids flock to it with their toy cars. For playing (and even decorating) at home or traveling on vacation, the possibilities are as endless as a desert highway.